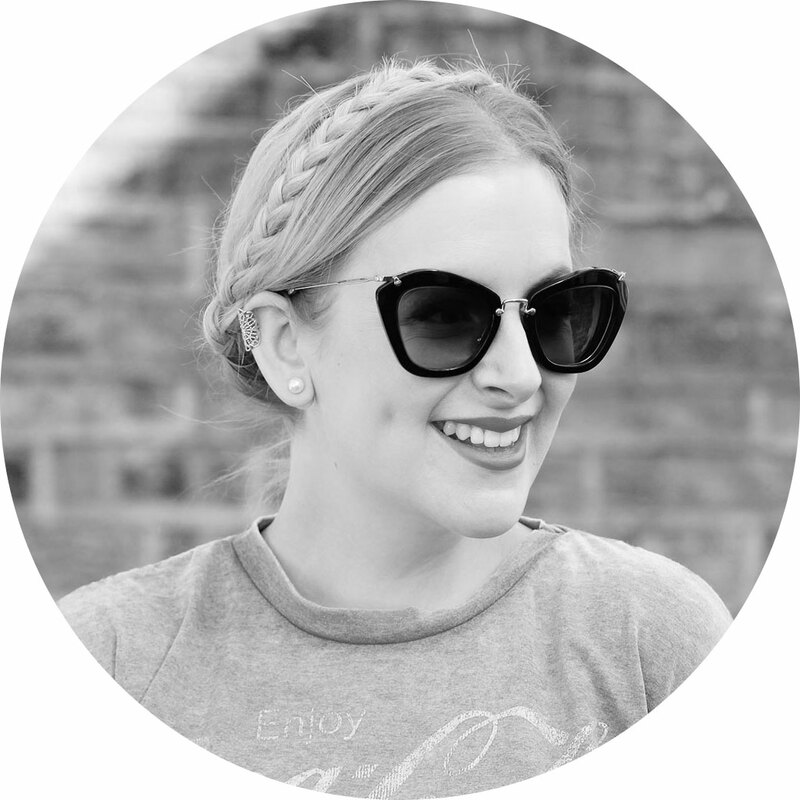 Posted in Blogging, Daily Outfits, Fashion. The pink coat trend didn’t really grab me last year – wearing pastels before Christmas seems somewhat sacrilegious, as ‘proper’ winter for me is about grey, black and navy. There’s also something so glorious about shaking out a light, bright coat in the earliest months of the year, with the promise of warmer weather and the worst of winter behind us. 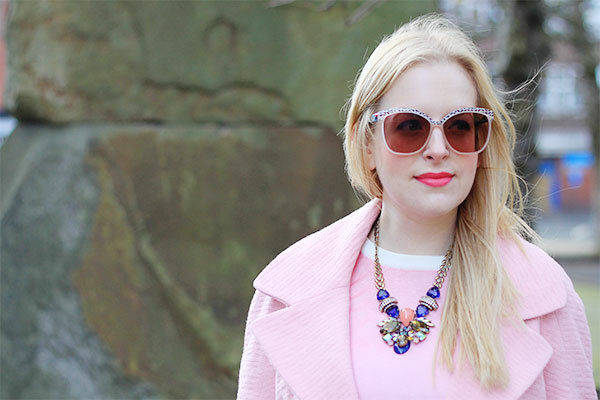 So I tested my patience and saved my ubiquitous pink coat purchase for warmer (ish) days. Since The Blondening I’ve been on a massive pink kick and have been buying ALL the pink things. I literally cannot get enough. To avoid looking like an overgrown child at a princess party, I like to team my pink pieces with simple basics in classic colours. 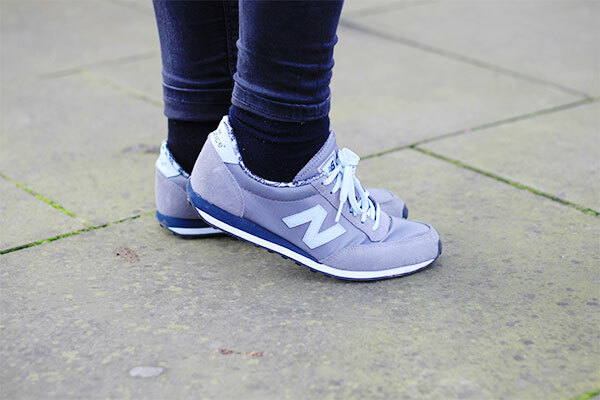 The dark grey Leigh jeans and navy MK bag offset the sweetness, while the New Balance trainers give the look a more casual edge. Anything to stop me looking like a sugared almond, really. 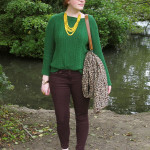 All finished off with my trademark statement necklace and a pop of an old favourite lipstick, Topshop’s Brighton Rock. Such an easy look and one I’ve repeated many times over the past few weeks. 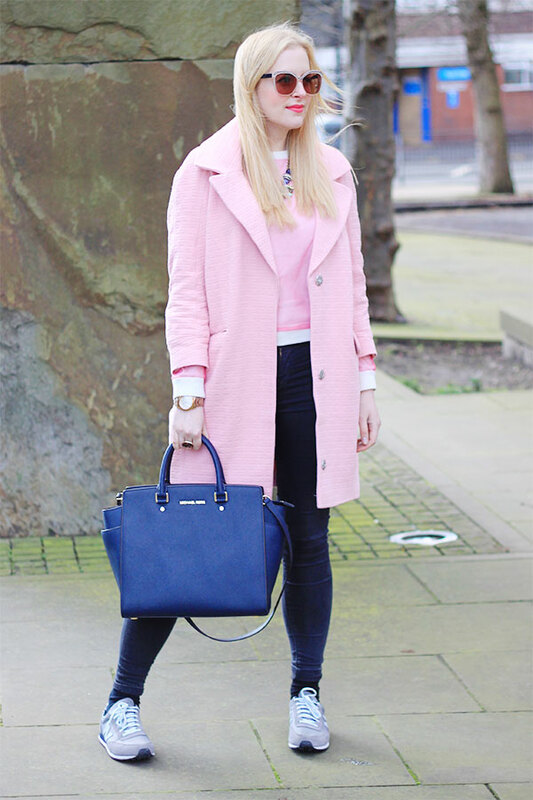 It feels so good to be in the Pink Coat Club! Will you be wearing some sugar this season? 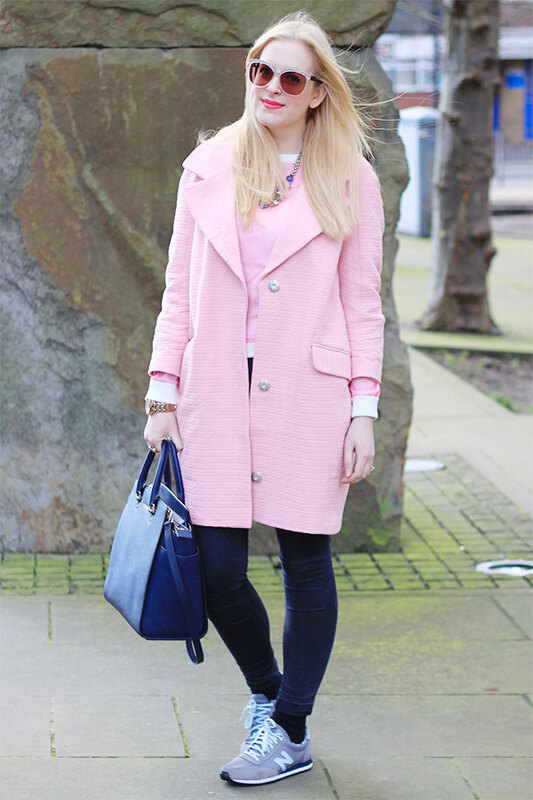 I’m so in love with pink coats at the moment! Im really in love with new balance trainers they are great! 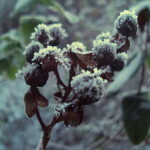 Loving the coat also, great post! this is gorgeous, goes amazingly with your new blonde hair too! This is just THE look. Can’t say I’ve been particularly tempted by the pink coat, but this has made me think twice. Oh, you’re good! Ahh I like your pink coat!! Gorgeous fresh outfit. Love the coat and the necklace. that pink coat looks stunning on you! So are you naturally blond? Will you not get any root regrowth? Very jealous looks lovely…did you find your new balance came up small? What no are they? I absolutely love this look! You are gorgeous. I love this look especially love the coat! Hi there, am loving the look, do you know what style of NB trainers you have? Been trying to find them!